Camped here to search for the KWQD (again). Success! Yes!! I've wanted to see one of these since the first time I opened a field guide to birds in 1978! Missed it on several tries in January. Seen on 4 different occasions this morning at previously reported locations, around parking lot and along golden orb trail, at 7:48, 7:52, 8:12, 8:45. 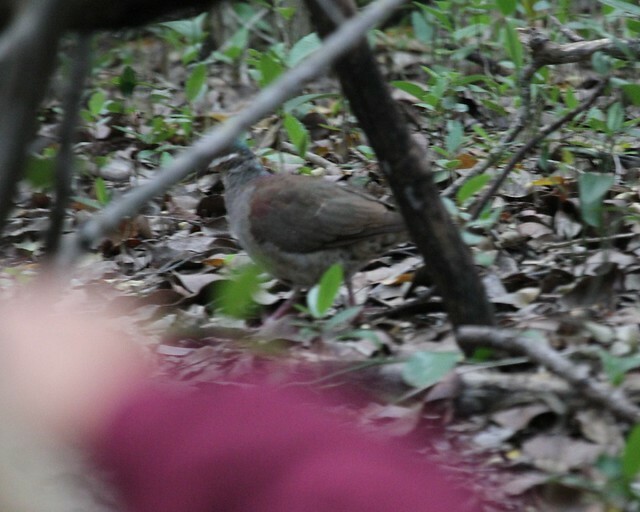 The bird was moving steadily each time, and each time I heard it before I saw it. Each view was brief for only 5 to 30 seconds before it mysteriously vanished! Once, I heard it vocalize, giving a soft monotone "whooo", but unfortunately I was unable to get a recording of it with my digital recorder because it did not repeat the vocalization.